Reconstruction Agency will host the following events to introduce the efforts for revival from the Great East Japan Earthquake towards international community at The Third UN World Conference on Disaster Risk Reduction in Sendai, Miyagi Prefecture from 14 to 18 March 2015. 1. 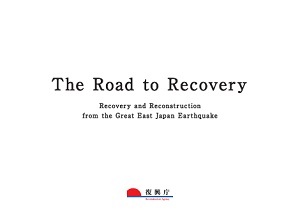 Special Forum Organized by the Reconstruction Agency: "Revival from the Great East Japan Earthquake and the Way Forward"
Sunday, March 15, 2015 from 1:30 to 3:30 p.m.
Four years from the Great East Japan Earthquake, innovative ideas are creating a New Tohoku through the process of reconstruction. This forum will introduce not only measures by the government but also initiatives led by partners in the disaster area. These efforts include rebuilding houses and communities, reviving livelihood, health and life support and revitalizing Fukushima through education. Special messages from young people in the disaster area will also be presented. "Reconstruction Assistance Internship"(Co-hosted by Reconstruction Agency) is a program for students to intern at companies in the disaster affected areas in Tohoku. Through this program, students experience the reality of the affected areas and learn the business situation in the field. Through the communication with the participants from nationwide and the local community, it is expected that this project will contribute to the revival of the affected areas. This Symposium will provide the opportunity to share their experience with the audience. Date and Time: Wednesday, March 18 from 10:30 a.m. to 4:00 p.m.